Our service apartments are perfect place for an overnight stay on the off chance that you intend to take part in any of your occasions. 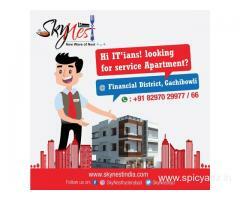 Furnished accommodation for boys available on independent and sharing basis in Panchkula Sector 12 A. Contact Navdeep Soi 8427001594. Facilities - Qulaity food, Mineral water, Wifi, Tv, Hot water, New paper etc. Please call on 9059489619 or whatsapp us on 7799564658 for further infornation.